Inspired by her blockbuster phenomenon Wonder, R. J. Palacio makes her graphic novel debut with an unforgettable story of the power of kindness and unrelenting courage in a time of war. In R. J. Palacio's bestselling collection of stories Auggie & Me, which expands on characters in Wonder, readers were introduced to Julian's grandmother, Grandmère. Palacio makes her graphic novel debut with Grandmère's story as a young Jewish girl hidden away by a family in Nazi-occupied France during World War II. Her harrowing experience vividly demonstrates the power of kindness to change hearts, build bridges, and even save lives. Anyone who was moved by the book Wonder or the blockbuster movie adaptation and its message will be captivated by White Bird. R. J. Palacio lives in New York City with her husband, two sons, and two dogs. For more than twenty years, she was an art director and graphic designer, designing book jackets for other people while waiting for the perfect time in her life to start writing her own novel. But one day several years ago, a chance encounter with an extraordinary child in front of an ice cream store made R.J. realize that the perfect time to write that novel had finally come. Wonder is her first novel. She did not design the cover, but she sure does love it. Her other books include 365 Days of Wonder: Mr. Browne's Book of Precepts, Auggie & Me: Three Wonder Stories, and We're All Wonders. 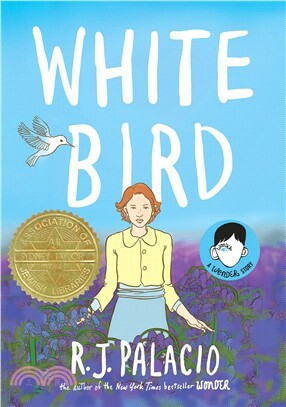 Learn more about her at rjpalacio.com or on Twitter at @RJPalacio.